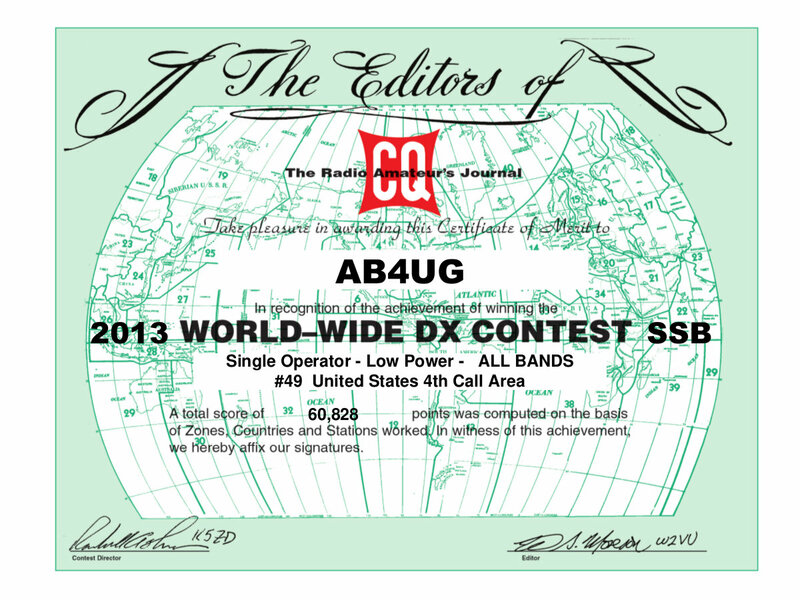 Final scores for the CQ WW 2013 contest are available and the 60 828 points I racked up in the Single Op Low Power All Band category got me #819 in the world, #280 in North America and #49 in the US 4th call area. With the Rookie overlay, it puts me at #55 in the world, #19 in North America and #4 in the US 4th call area. For my first big contest effort, I’m pretty pleased with that.